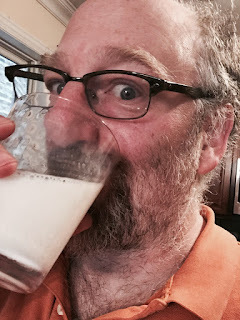 Disclosure: I have partnered with my friends Life of Dad and Milk Life for this promotion. I have received compensation for my participation, but my belief in the power and goodness of Milk is my own, as are my stories and my opinions. Milk is delicious, nutritious, and full of essential ingredients. You never know how much you miss something until it's gone. About four months ago, in an effort to figure out why she has stomach pain after she eats, my wife (in consultation with her doctor) decided to do an elimination diet. She's cut out sugar, nightshades, gluten, corn, soy, and dairy from her diet. 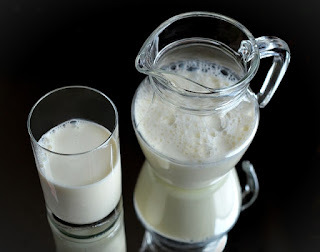 We stopped buying dairy milk at that time, and started buying milk substitutes-- almond milk/cashew milk/coconut milk/rice milk. 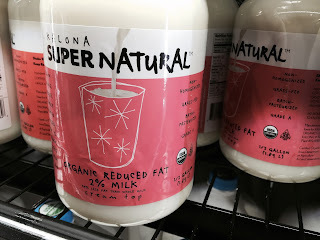 This is my new favorite milk-- it's got actual cream on top! So I was going along my merry way, drinking milk substitutes for a few weeks until we had house guests stay with us for a week. We bought some actual milk for them, and I started drinking it too, and OH MY GOD this stuff is delicious! I'd forgotten how much I missed actual milk. Which brings me to another group of people who miss milk: The hungry. 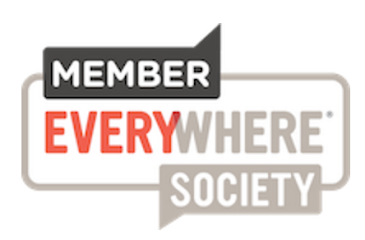 In our country, over 12 million families rely on food banks to help fill their pantries. Over 22 million kids are expected to go without milk this summer when the school breakfast and lunch programs go on hiatus. And while generous people often donate excess dry goods and canned goods to food banks, milk is not something that many people donate. It's perishable, it needs refrigeration, and by the time you figure out you've bought too much milk, it's gone bad. 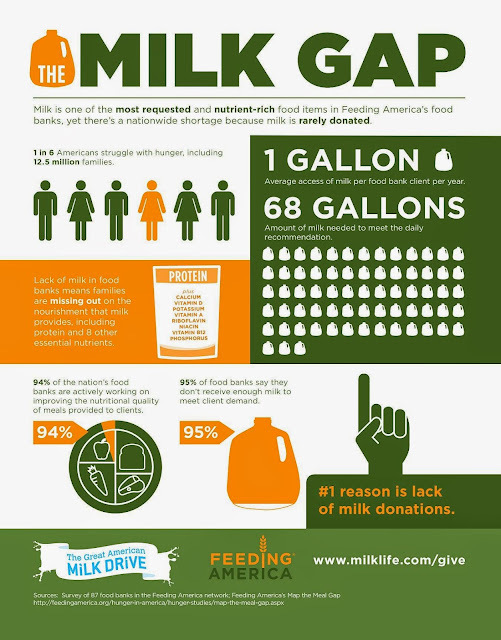 Milk is one of the top food items requested by food banks nationwide. 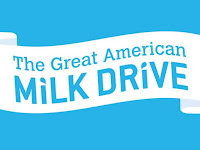 The folks at MilkLife (which is part of the National Dairy Council) and Feeding America are trying to reverse this issue. 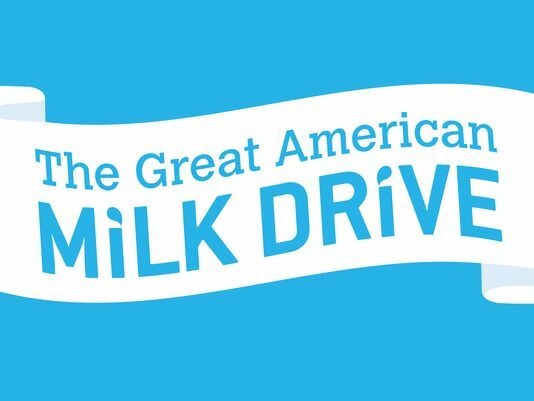 They have started the Great American Milk Drive, the first-ever nationwide program to deliver highly desired and nutrient-rich gallons of milk to hungry families who need it most. 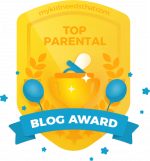 A group of Dad Bloggers organized by Life of Dad are having a friendly competition to raise additional funds for the Milk Drive. And the winning team gets some EXTRA MONEY donated to The Great American Milk Drive. So win win win for us all. In my neighborhood, my food pantry of choice to donate to is CARE FOR REAL. Last year they gave out enough food to serve 1.2 million meals. We've donated dry goods to them in the past, but now I'll make a special effort to drop off a couple of gallons of milk every so often. I'm sure there are kids (and grownups) out there who love milk as much as I do. (In Chicago, EVERY KID regardless of their economic situation gets a free breakfast and lunch if they want it-- Chicago Public Schools (CPS) did the math, and realized that the productivity loss from dealing with hungry kids was greater than the money they spend to make sure that every kid has a meal when they want it. So everyone applies, they take the federal money, and they augment it with their own funds to make sure that every kid is ready to learn. The CPS program also includes milk at both breakfast and lunch. Read more about the program here. I think it's really remarkable and would love to see more school districts adopt this kind of program.